Planted for a Reason – lemonade & co.
“I’ve decided to stop watering the plants. They look dead, so what’s the point?”, Mom declared. Growing up and even to this day, I’ve never had a green thumb. I prefer plants that are hard to kill, like cute, little succulents. I suppose bamboo plants must be hard to kill, because it’s still growing and keeping me company in my living room. During the summertime, when my Dad would be at work, he would give the family the job of picking the weeds around the plants. Sometimes, my Mom and I would end up picking the plants instead, because we couldn’t tell with some of the plants if they were weeds or not. Picking weeds and watering plants are crucial to the growing and bearing process of a plant. Applying this to our lives, what weeds are bogging us down? Wrong thoughts, hatred, lust, lying, unkind words, etc. Are we sowing words of love or hate? Are we having the right thoughts about someone? Are we cultivating a positive attitude? Referring back to what my Mom said, “They look dead, so what’s the point?”, we can’t just assume people around us are so spiritually dead that they won’t respond to “sowing” and “watering”. Just like if we have been bogged down by weeds/personal struggles, we shouldn’t decide to just give up because we think there is no way we could grow to bear spiritual fruit. 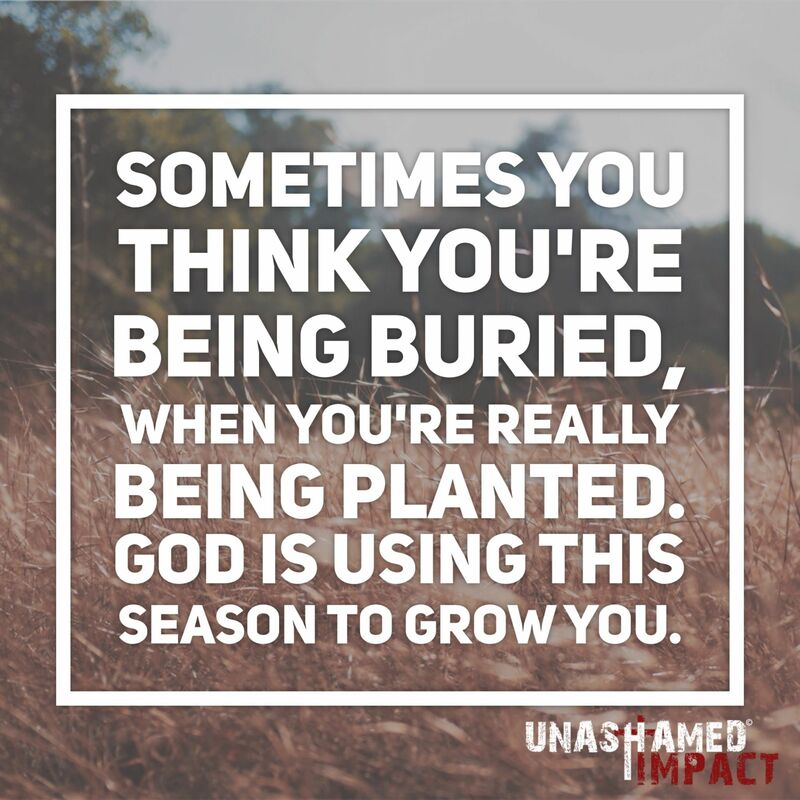 God has planted us where we are for a reason. He can use us where we are planted.